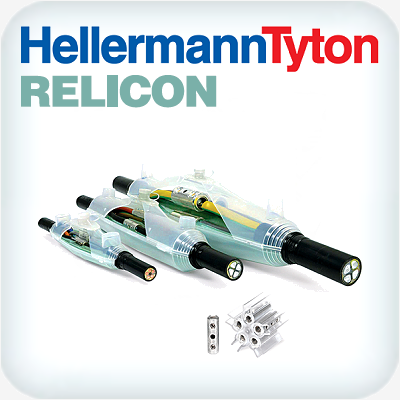 RELICON straight-through joints are made for installations in low-voltage electrical networks. 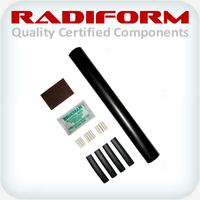 They are suitable for jointing on polymeric cables and wires made of PVC, XLPE, PE, EPR and utility cables. Connections in industrial buildings, power supply in the ground, outdoors and in the water. Cast resin PUR 33 Two-chamber pouch, transparent Moulding shells, transparent SF-system and nozzle Protective gloves, emery cloth, installation instructions HelaTape vinyl electrical tape Spacer for maximum 5 core cable.